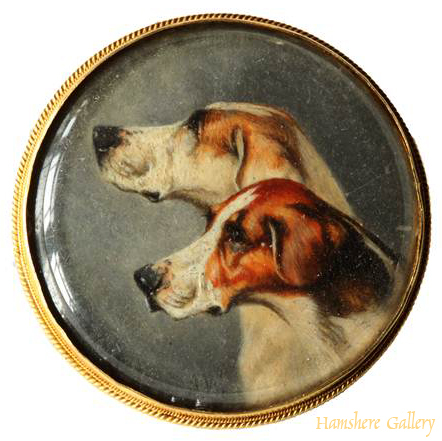 Watercolour of two foxhounds by Alfred Wheeler (English, 1851-1932). Set as a brooch. English, circa 1900's. Signed "A W".